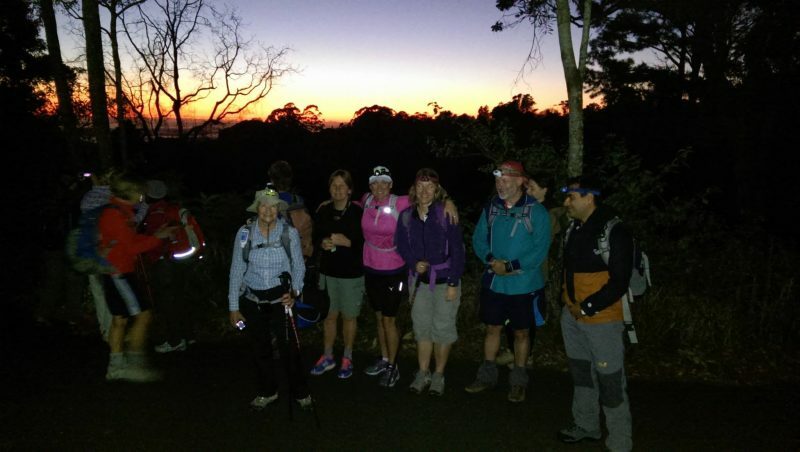 On Sunday 3rd August 2015, 43 walkers participated in a long distance walk at Mt Glorious to raise funds to rebuild Tawal Health Clinic, which was badly damaged in the Nepal Earthquake. On behalf of Back Track Adventures, thanks to everyone for making the event such a success. Mother nature really turned on glorious weather, although the day was bright and sunny, thankfully it didn’t get too hot or uncomfortable. Most walkers managed to complete their chosen distance within the time allowed and the last walkers finally reached Maiala Park, in the dark, at 5.55pm. Congratulations to everyone for lasting the distance and a special mention to Tony Murphy and Ian Clarke for driving 922km from Sydney to do the walk. Also, to the support crew – Kylie Gilbert, Michael VandenBroek, Chris Rowe and Peter Carrigan, thanks for giving up your Sunday to help out. You’ve supported the fundraising effort by bringing in donations that currently total over $17,000 – thank you and well done. The donation website – www.givenow.com.au/nafarebuildtawal – remains open so please do what you can to encourage others to donate. 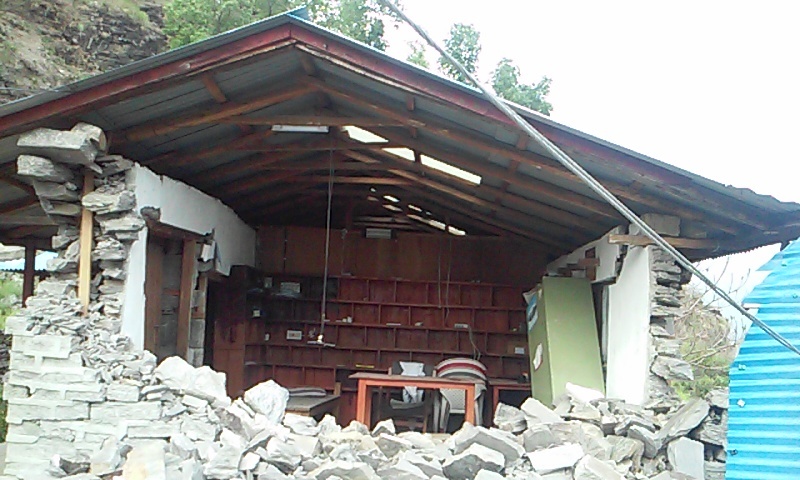 Although the health clinic was severely damaged in the Gorkha earthquake, the NAFA-supported health staff worked calmly throughout the crisis saving lives. If it were not for their courage and skills, the death toll of 82 people in the wider area would have been much higher. Lila Maya became the sole health worker for five villages as Beg and Sunita were cut off by landslides and worked in their locales. Despite the dangerous aftershocks, Lila Maya managed to reach the badly damaged Tawal health clinic to salvage vital medical supplies. She then set about keeping the injured alive. One of the first victims she helped was Tarsya and her small daughter Mitsang. 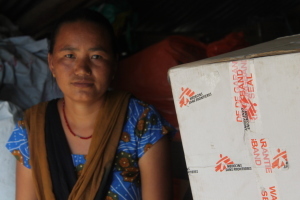 Tarsya Tamang was indoors with her two children when her house collapsed. Tarsya’s twelve-year-old son was killed instantly. Tarsya was unconscious and losing blood from wounds. Mitsang lay beside her also badly cut. Lila Maya stitched their wounds and stayed with them all night before leaving to tend to others. 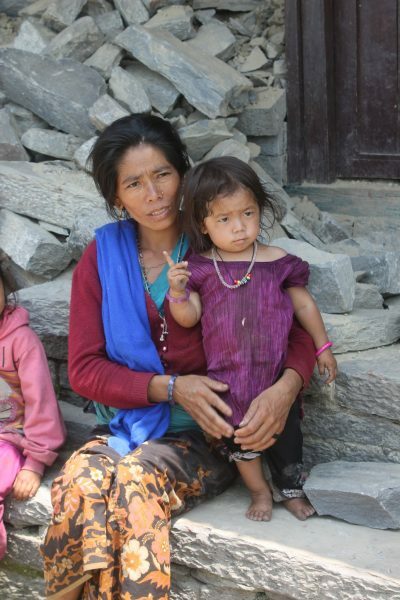 Another villager requiring urgent help was Kanchhi Maya, a mother of seven. Kanchhi Maya’s youngest daughter Rachel and both her parents died instantly when their house collapsed and Kanchhi Maya herself sustained a deep head wound. It would be five long days before the first helicopters arrived to take out Tarsya and the 22 other critically injured villagers. Kanchhi Maya had to wait an agonising nine days to be flown out. Lila Maya and Beg monitored her condition during this time. An estimated 150 people were evacuated from the Tawal area villages to different hospitals. 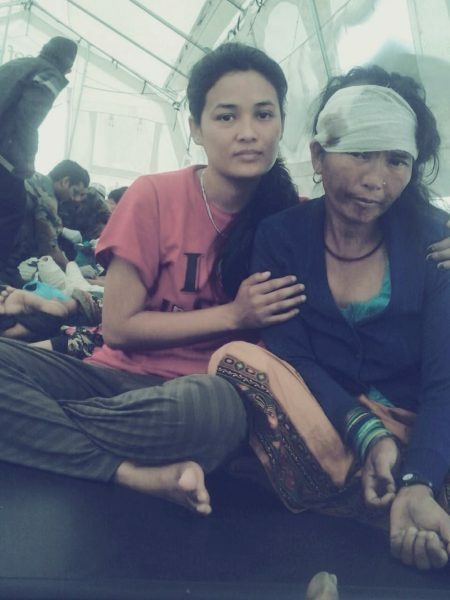 Lila Maya treated 15 patients who were evacuated and all survived. 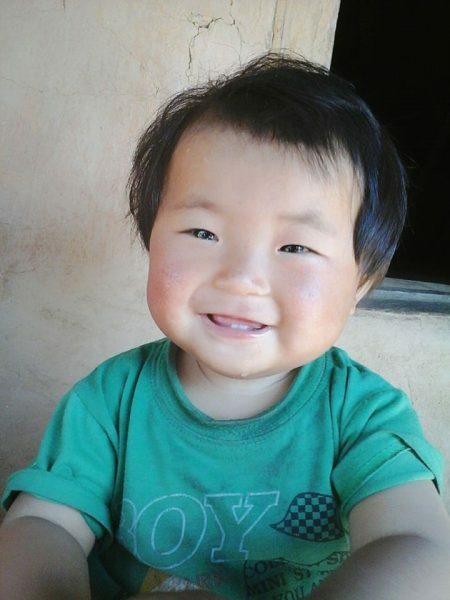 After undergoing surgery, Tarsya, Mitsang and Kanchhi Maya are now recovered and back with their families. But the loss of loved ones and the emotional scars will take much longer to heal.